Hamewith is an old Scottish word that means homeward bound. I was first acquainted with this beautiful word through Leanne Payne who uses this to describe the place of Christ’s dwelling in the heart of every Christian. For her it’s an apt description of the “home within”. Throughout my life I have been drawn to a compelling sense of longing for home. I remember as a child driving with my parents through the neighborhoods we lived in looking at Christmas lights, especially the way they lit up living rooms and kitchens. 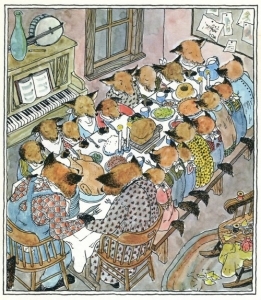 Drawn to those warmly lit rooms, I was as well drawn to what I knew must have been contented homes and happy families. I learned much later in life that this longing for home was indeed a longing for a home beyond this earth; that every window I gazed in as we drove by, that every home I was drawn to was simply a longing for something more than I could have found here on earth. This longing had a face – that face belonged to the Person of Jesus Christ. My experience of this was like a waking up…it was C.S. Lewis that said – It is waking that understands sleep and not sleep that understands waking… I simply woke up one day to an experience of Grace which came in the Person of Christ. I had come home, and my soul was now fully awake. I am calling this blog – Hamewith because it’s a beautiful and compelling way for me to talk about the faith journey. It’s a way for me to talk about what enlarges this “home within”. What pictures, what stories, what words speak of the internal life – this life with Christ? One of Leanne Payne’s most often spoken imperatives was this: As you place your hand over your heart – acknowledge this: There is another who lives in me. He shall increase and I must decrease. Celebrate this knowledge: that Christ through faith dwells in the heart of every Christian who has come home to God. And yet, I know that on this earth, in this life I call my own – I am home but not yet home. The longing is quenched but not fully satisfied. I wonder if any of you ever feel this way. That you live in the tension between the already and the not yet. It’s like that space between two trapezes. How we live in that space is critical to coming home. It’s easy to hold on to the bar we’re tied to – it’s challenging but not impossible to lunge out and grab the bar we long for – but that space in between? It’s in that space that I want to explore what it’s like to trust and rest and wait. I am wondering if you want to do this with me? 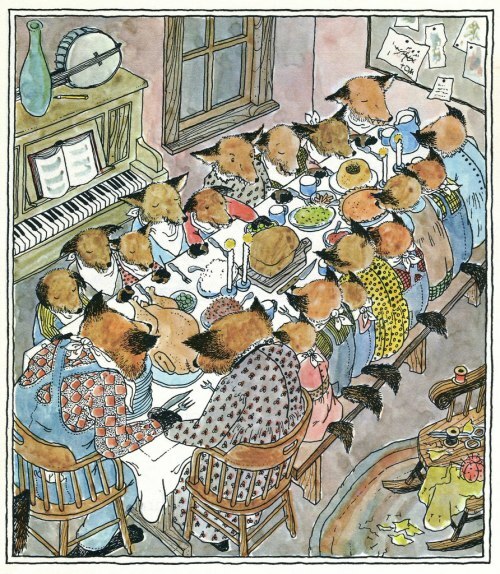 The picture above is from one of my favorite books of all time: Father Fox’s Pennyrhymes. You may see this again in the future!